Individual pics of each lamp will be posted. Geez, how many people went to a Restore today? @Silverliner: Yep. If you want, there are NOS GE preheat Compax bulbs there. Got the Compaxes lol. Now there's two Norelco 75w PAR38 flood lights (forgot to get them) sitting there. I’ve gotten plenty of good stuff at the Loma Linda ReStore lol. I didn’t bother getting the Compaxes but haven’t seen the Norelcos. 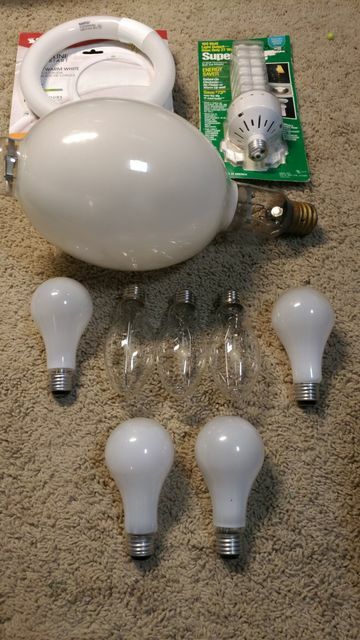 Haven’t seen these big HID lamps you got either. Just went there today. Not much, only new things were a box of Sylvania F34T12/CW/SS Ecologic and those two Norelcos. Also, I got the HID lamps right after I saw them lol. When I saw the huge sleeves they were in and what they were, I had to get them.